This is the flagship book of the forthcoming 7 People-Dangers series where women, men, and children of all ages increase their safety and enrich their lives by learning to deal with interpersonal danger. In it, high school and college ladies learn to use their brain, voice, and body for self-protection in situations ranging from uncomfortable to life-threatening. 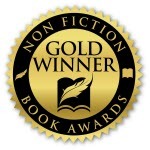 Learn more about Marcy Shoberg and her books at her website. Marcy Shoberg has taught self-defense and martial arts to students of all ages for about thirty years. After her eyes were opened to the non-martial-arts self-defense industry, she realized everyone can learn to better use their brain, voice, and body to protect themselves from others without committing to years or even months of classes. 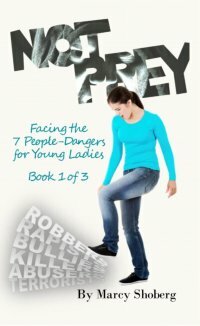 This led her to writing The Self-Defense Lady newspaper column and now the Facing the 7 People-Dangers book series.